We will be at the Dubai International Motor Show from 14-18 November 2017. 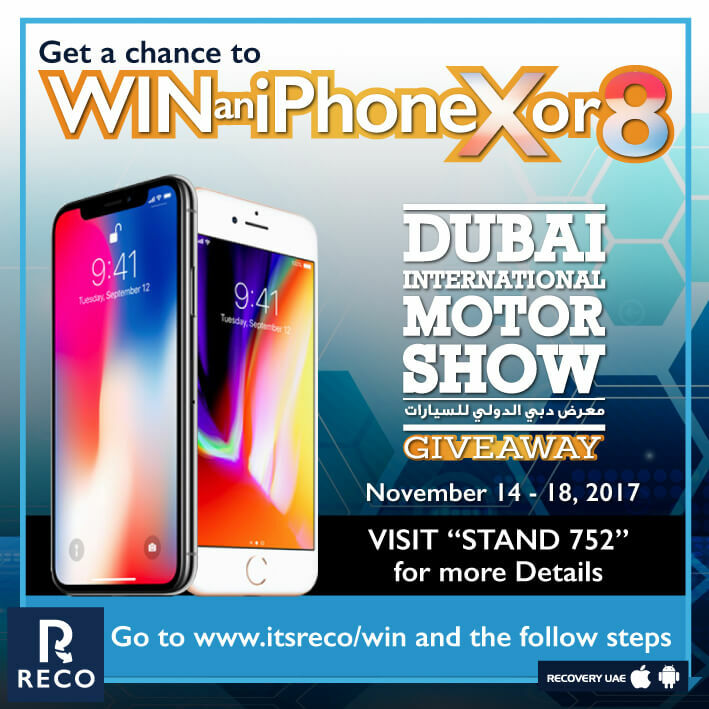 We’re giving away a New iPhone X & Iphone 8 handsets to the Lucky Winners. Share this Giveaway with your Friends to Increase your Chances of Winning.